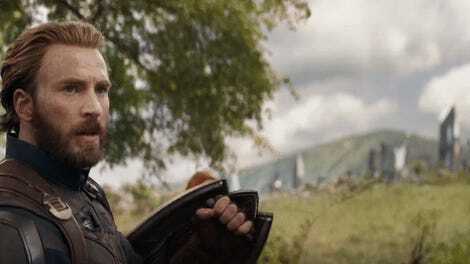 This is both Chris Evans’ “Thanos is coming” face as well as his “Not this again” look. 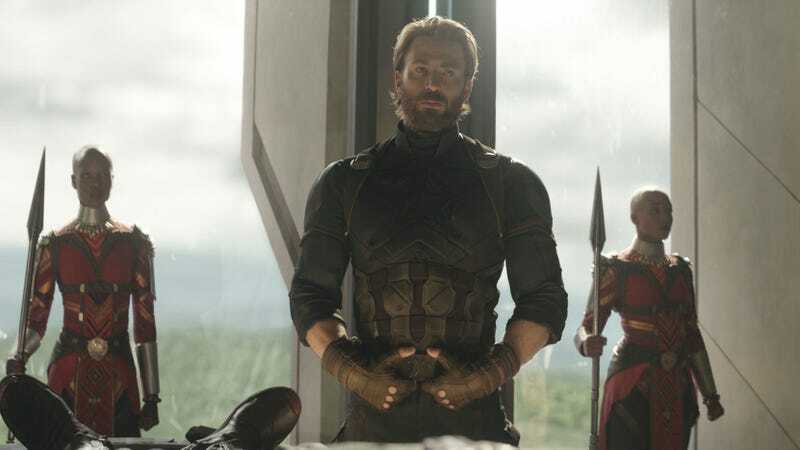 Obviously, Russo is referring to something in Avengers 4, we just don’t know what yet. Maybe Cap doesn’t die, but gracefully retires? Or he passes the shield and will be around as a mentor? Or, Evans could sign a new contract to make new movies or TV shows. [Ed’s Note: Oh my god, what if he gets a TV show with Hayley Atwell’s Agent Peggy Carter? - Jill P.] Or maybe Joe Russo is just lying here to throw us all off the scent. It’s a very curious statement. Anyway, just more interesting morsels to chew on as we sit here and patiently wait for a tease of what’s to come when Avengers 4 arrives in May. Correction: The original article said Joe Russo co-directed Evans’ four most recent Marvel movies, which was incorrect. We regret the error.